The first making your own doll clothes sewing pattern is for a doll skirt. This is a simple, full skirt that anyone can learn to sew. 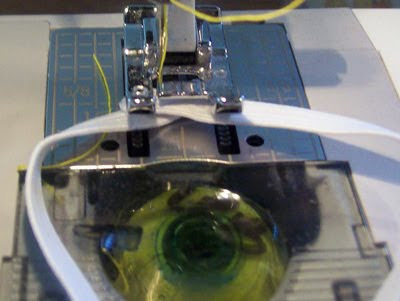 This tutorial uses the straight stitch function of your sewing machine. Step 1 – Find the doll you have that needs a nice skirt. 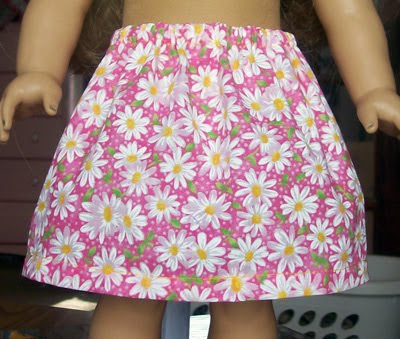 Pick a point on your doll’s waist where you want the doll to wear the skirt. Step 2 – Keeping a mark on the waist point you picked, now pick a point on the doll’s legs for the length of the skirt. 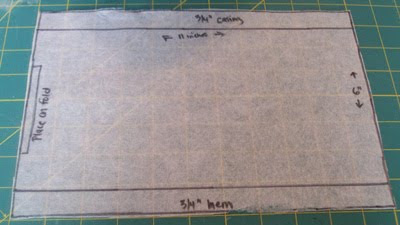 Step 3 – Draw your pattern by making a rectangle using the two measurements you just found. 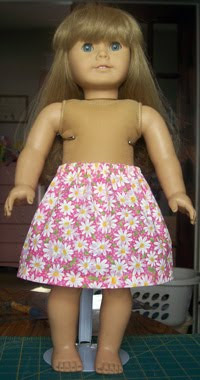 The waist measurement for my doll was 11 inches. I want my skirt to be just about knee length and am using 6 inches in height. My rectangle is 11 inches wide by 6 inches tall. Step 4 – Now we are going to add 3/4 inch to the length at the top for the waist casing and 3/4 inch at the bottom for the hem. Your rectangle should now look like this. Cutting the pattern and fabric. Step 1 – Cut your pattern piece if you have not done so already. Note: If you made this on regular copy paper or tissue paper, cut your pattern out using the paper scissors from the sewing supplies list. If you used Quilter’s Grid or True Grid, use the fabric scissors. 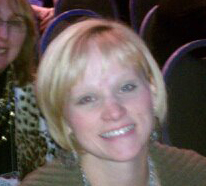 Step 2 – Look at your fabric. Is there a right side up or upside down to the fabric? Place your fabric flat right side up in front of you. Then, fold it over to your right just about an inch wider than your pattern piece. Make sure it is folded the same width all the down the fabric. Place your pattern piece with the left edge on the fold of the fabric. 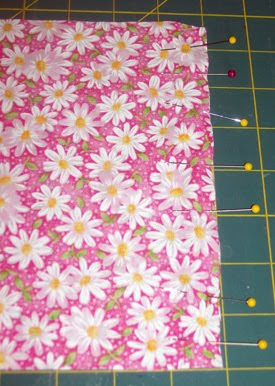 Step 3 – Pin the pattern piece to the fabric on all sides. Step 4 – Cut around three sides of the pattern piece leaving the left folded size intact. 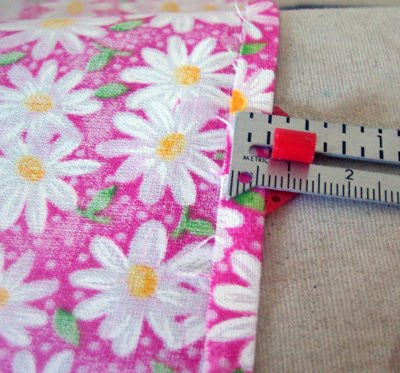 Your fabric should now be the same length as your pattern piece and twice the width. Step 1 – Pin the back of the skirt together like this. Make sure to put enough pins in so that there are no wrinkles. 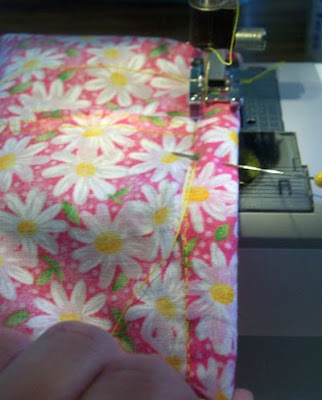 Step 2 – Sew the back of the skirt together using a 1/4″ seam. Remember to stitch in reverse after the first three or four stitches and also at the bottom of the skirt to lock them in place. To reinforce the stitches you can do one of these things: Stitch over your first stitching again, Stitch a little closer to the edge near the first stitching, place a zig zag stitch in the seam allowance, or serge it (if you have that option available). 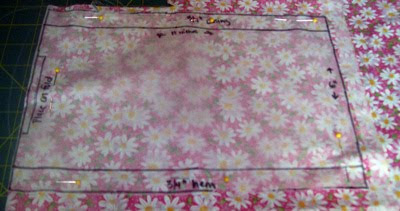 Step 3 – To make the casing for the elastic waist, take your seam gauge and sewing pins over to the ironing board and mark the 1/4 inch mark on your seam gauge like this. Step 4 – Next, put the top of the skirt around the edge of the ironing board and measure and press all around the skirt at 1/4 inch. 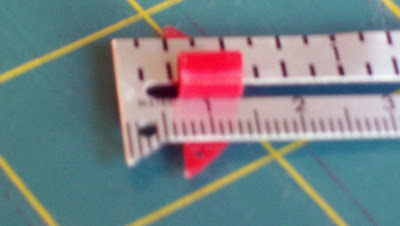 Step 5 – Now, move your seam guage lever to the 1/2 inch mark. Measure and press all around the top of the skirt again at the half inch mark. This time, pin every inch or so to hold the casing in place. 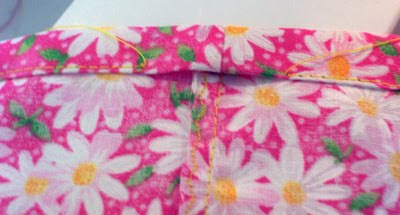 Step 6 – Sew at the very edge of the fold all around the skirt leaving about an inch opening. I always start about an inch to the right of the seam and then stop about an inch before the seam. 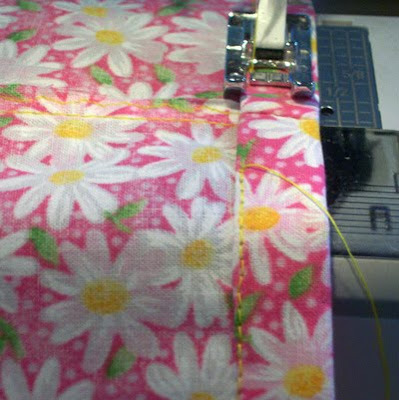 Step 8 – Place a safety pin on each end of the elastic. Next, take one end of the elastic and feed it through the waist casing you made using the opening. 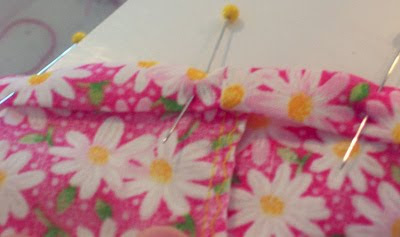 Step 9 – After you have threaded the elastic all the way around the skirt, take the safety pins off (don’t let go of the ends) and place them one on top of the other like this (overlapping about 1/2 an inch). Step 11 – Now take your skirt and widen the waist a bit to grab the rest of the elastic into it and sew the opening in the casing shut. You will need to pull on the elastic a bit to get your opening to lay flat. 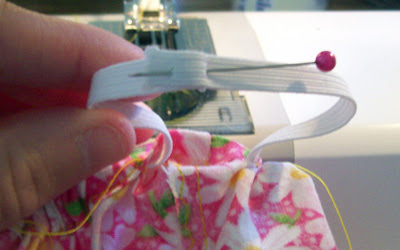 Step 12 – To hem the skirt, repeat steps 3-6 without leaving the opening for the elastic. Step 13 – Cut all the loose threads. Now, look at your masterpiece. Try it on your doll. Thank you! 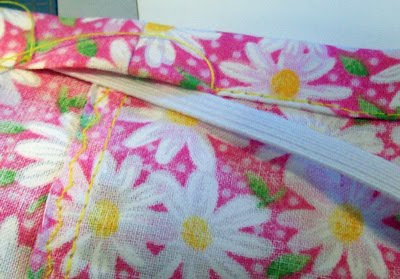 I am making a straight skirt for my granddaughter, and this is perfect for a matching skirt for her doll!